I purchased this skirt last year and didn't have a chance to wear it before I got pregnant. Every outfit I put together with it was too girly and young for me. 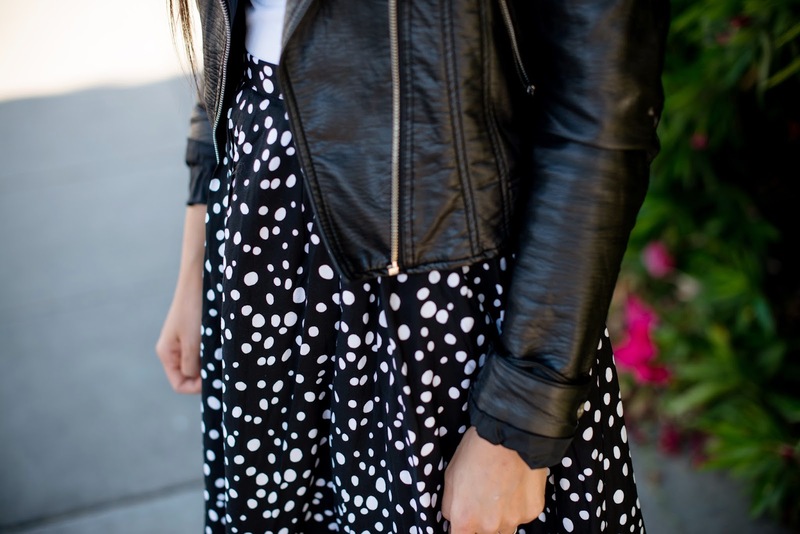 I think the fuller skirt screams girly, so I added a leather jacket to toughen it up a bit. I also wanted a higher neckline for this outfit, so I actually have my shirt on backwards, which made for a pretty low-back top. 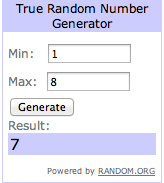 Finally, I'm announcing my winner for the ItWorks giveaway-I wish everyone could win! Thank you all for entering and thank you, Ali!